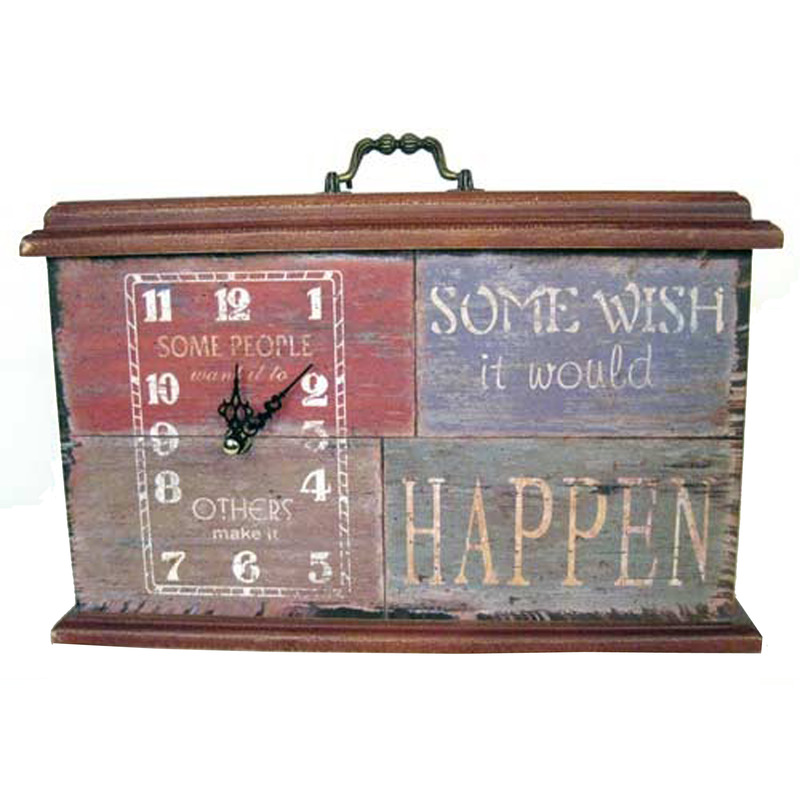 This Shabby chic clock was added to our extensive range of home accessories. The perfectly painted inspirational quote with a shabby chic style finish makes it a beautiful addition to your home. Perfect for the lounge and kitchen. "Some people want it to happen, others make it happen, some wish it would happen"